There is clear evidence of people having lived in North Devon both in and around Shirwell for thousands of years, certainly from the Iron age (800 BC-42 AD) but little is known about these people as limited records or historical evidence has to date been discovered. There are also several Hill Forts in the area, the best known being at Castle Roborough, which is situated near Lynton. It is also thought that these people who were referred to by the Romans as “Dumnonii”, may in the latter years, have planted Yew trees in what is now Shirwell churchyard. Although the current Yew trees are indeed huge and very old, this is only speculation. Whilst it is well documented that the Romans were in Britain and certainly in parts of the west country, again there is no clear evidence that they ever settled in any great numbers in North Devon or Shirwell in particular. 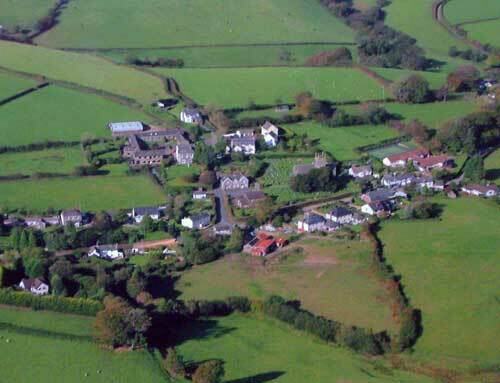 One of the first written references to Shirwell is in the Domesday Book, being spelt “Aiserewilla” and it is one of the oldest places in North Devon. The word Shirwell is thought to be a Saxon one, meaning “Clear Water”. The Latin meaning for Shirwell is “Fons Limpidus”, which translated means “Clear Spring”. During the 7th century, around 650 A.D, there were two known religious houses in North Devon. The first, St. Nectan at Stoke Nectan near Hartland and the second, St. Brannocs or Brynach at Brannocminster, now known at Braunton. (St. Brynach is thought to have been an Irish saint). The priests of Braunton at the time, held “one hide and three ferlings in the hundred of Braunton and Shirwell”, which suggests the land around may well have been cultivated. During his reign, King Alfred (871-901 A.D.) honoured Shirwell with the name of a Hundred, thereby separating it from Braunton. 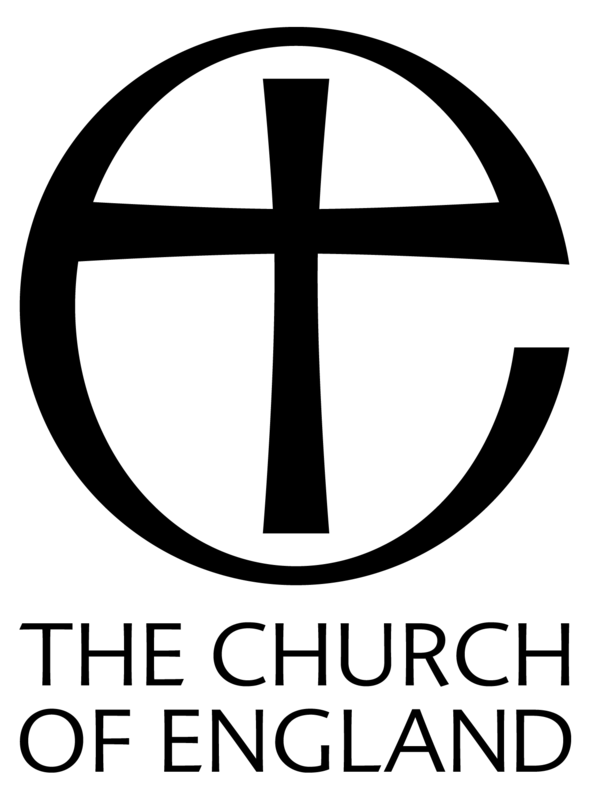 Shirwell was then ecclesiastically appointed as one of the old Rural Deaneries of the Diocese and still remains so today. Towards the end of the Anglo-Saxon period, William the Conqueror commissioned a great inventory of England as a catalogue of his loot, in which he describes the land around Shirwell in 1087 as being cultivated, with meadows, pasture and woodland. Following the inventory, he allotted lands in Shirwell to William Poilgi (also spelt Poilly or Pole), Baldwin de Meulles and Odo Fitz Gamelin, who were all Norman soldiers. What they did with the land or whether they ever took up residence in the area is undocumented. One of the most well known buildings in the Shirwell area is Youlston House also known as Youlston Park. There has been a dwelling on this site since at least the 11th century. The original dwelling is known to have been owned by Gilbert and Robert of Beaumont in 1086. During the reign of Henry 1st (1100-1135), Roceline de Beaumont made Youlston his chief dwelling. From the fourteenth century, the Chichester family, who were a local family and numerous in numbers, lived in Shirwell. They owned a great deal of the land in and around the area as well as elsewhere in Devon. In 1490, Youlston which is said in part to date back to Norman times, passed into the hands of John Chichester of Ralegh through marriage. Youlston then remained in the hands of the Chichester family up until the 20th century, when Sir Edward Chichester was in residence. During this time much of the original building was rebuilt by Sir Arthur Chichester who was the M P for Barnstaple at the time. In 1919, due to mounting debts it was sold, together with much of the surrounding land. It is still currently in private ownership. As well as owning Youlston, the Chichester family also built a Georgian mansion a few miles north of Shirwell at Arlington, which is now known as Arlington Court. When Youlston was sold, the Chichester’s retained Arlington Court, the rectory in Shirwell and a reduced area of land but these too have subsequently been sold. Early in the 20th Century, a number of farmers who were tenants on Chichester land approached Sir Edward Chichester with a view to obtaining a small plot of land on which to build a Chapel. Originally he refused as St. Peter’s church at Shirwell was well established; in fact several of the Chichester family were incumbents of the church between 1513 and 1936. However, Sir Edward subsequently changed his mind and agreed to the farmers having an out of the way area of garden. Between them they raised the £280.00 needed to build the Chapel which is still standing today. Tasman Sea from New Zealand in 1931. He was also an accomplished sailor, having sailed solo around the world in Gypsy Moth IV in 1967. St. Peter’s church at Shirwell is the final resting place of Sir Francis and several other members of the Chichester family. At one point, Shirwell boasted a total of four public houses, a Police Station, Post Office, Village shop, petrol station and a school. With the exception of the school, all have sadly closed. Cuthbert Mayne was the son of William Mayne and was born at Youlston House Circa 1543/4. He was later baptised as a Christian on 20th March which is now called “St. Cuthbert’s Day”. His uncle, who was a Church of England priest at the time, paid for Cuthbert to be educated at Barnstaple Grammar School and it was believed he would inherit his uncle‘s church. Following his initial education, he was indeed ordained into the Church of England at the age of 18 and became the rector of Huntshaw, which is between Barnstaple and Torrington. Having been ordained, he attended university originally at St. Albans Hall and later at St. John’s Collage Oxford, where he became a B A in April 1566 and an M A in April 1570. Whilst at Oxford he met and became friends with a number of Catholic followers, resulting in him subsequently converting to become a Catholic. During the reign of Elizabeth I, being of the Catholic faith was very much frowned upon and individuals were regarded as being papal agents plotting to overthrow the Queen. As a consequence, anyone discovered to be a Catholic was arrested and imprisoned. Around 1570, many of Cuthbert’s Catholic friends were arrested but he initially evaded capture by fleeing to Cornwall. From Cornwall he moved to Douai near Lille in France, where he was ordained as a Catholic priest. A year later he obtained the degree of a Batchelor of Theology from Douai University. In 1575, Cuthbert returned to Cornwall, where he was subsequently arrested and charged with a number of offences relating to being a Catholic. Whilst awaiting trial he was held in custody at Launceston goal. At his trial he was found guilty on the flimsiest of evidence and sentenced to be hanged, drawn and quartered. Immediately prior to his sentence being carried out, he was offered his life provided he renounced his religion. 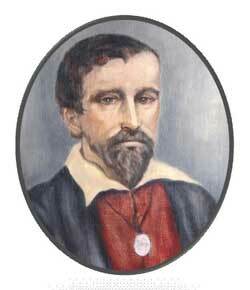 He refused to do so and was executed on 29 September 1577. Cuthbert Mayne was beatified by Pope Leo XIII, by means of a decree on 29 December 1886 and was canonised along with other English and Welsh martyrs by Pope Paul VI in October 1970.